A public vote on the “No-Billag Initiative”, proposing to abandon all forms of public funding of Swiss TV and radio stations, will take place on 4 March 2018 in Switzerland. 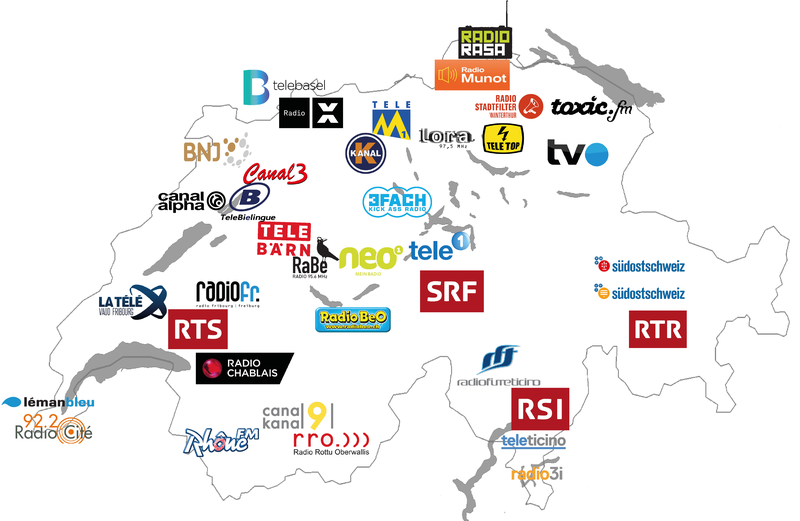 The initiative "Yes to the abolition of radio and television licence fees (abolition of “Billag” licence fees)", calls for the Confederation to no longer levy any reception fees and to stop subsidising radio and TV channels. The abolition of radio and television licence fees would deprive public service broadcaster SRG, as well as 21 local radio stations and 13 regional television stations, of a very significant part of their revenues. The initiative would end the public service mandate for radio and television as set out in the Federal Constitution of Switzerland. In addition, Ofcom provides a comprehensive "Questions and Answers" section (FAQ) as well as a link to explanatory video material laying out the basics of the funding of media in Switzerland. the electronic media would become less attractive to the advertising market. Advertising money would be increasingly invested abroad, to the detriment of the Swiss market. Stations that receive a share of the licence fee retain their independence and freedom of speech. The Swiss Constitution guarantees them absolute autonomy in programme making and thus gives them, for example, the right to criticise state bodies. In 2018, each household pays an amount of CHF 451 per year for the radio and television licence fee in Switzerland. Representing more than 11 EUR per citizen per month, this is nominally the highest licence-fee in Europe. However, it has to be taken into account that adjustments on purchase power and the obligation of the SRG to provide adequate and equal services to all four linguistic regions of Switzerland relativize the amount of the Swiss licence fee in a Europe-wide comparison. Furthermore, the fee is expected to drastically decrease to CHF 365 per year when the household fee is introduced in 2019. The licence fee is used to co-finance SRG programmes in German-speaking, French-speaking and Italian-speaking Switzerland, as well as Rhaeto-Romanic programmes and 21 local radio stations and 13 regional TV stations. In 2016, SRG received CHF 1.24 billion, while regional and local private broadcasters received CHF 61 million. The Federal Council (Swiss Government) recommends that the project be rejected because it endangers the diversity of the press and opinions in Switzerland. The two Parliamentary Chambers of Switzerland, i. e. the Council of States and the National Council also recommend that a no vote be cast in the ballot box at the 4 March 2018 vote.